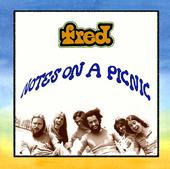 Fred is a fun cool jazz/rock/fusion experimental band that was around the fringes in the late 60s/early 70s. With the magic of MySpace they have been brought to me. On a lucky (for all) day in 2000, one of their 45 rpm was discovered in a German flea market by World In Sound, an indie record label and shortly after, their music catalog was re-released. Which one is fred? Actually the band is named after peace in Swedish. Are they Swedish? Don’t know, but it’s the 60s/70s what do you want? 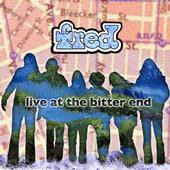 Anyways, fred (no its not a typo, they don’t capitalize it) did most of their creating and recording in and around Lewisburg, PA while some of the members attended Bucknell University then later moving to a farm/commune. What cool music came out of that! Ah, what it would’ve been like to be there with those free spirits. Peter Eggers the keyboard player and composer was nice enough to send me the dissection of meter use. Thank you Peter for being obsessed as I. Track 6: “The Head’s the Best Part” combines lyrical jazz/rock with the sweet harmonies of the Allman Brothers. Track 8: “Chaos in the Conservatory” is a bunch of rock ‘n’ rollers wandering around the corridors of classical music. All of the remaining tracks are in FOUR. It's a rarity to find musicians so deeply bonded. Sometimes seasoned & studio musicians can really lock with one another, or bands that have been together for years will have a bond, but there is still a formality between them. Fred takes it much deeper to a freedom that I imagine many intuitive musicians long for. One of the coolest examples of this is heard on Perverseerance in the communication between bass and drums during the bass solo and when the guitar and violin are "trading 4s" (really 2s and 1s) in 11/8 and 6/8. This then turns into a conversation that only old friends can have. It is a phenomenon that is not really easy to explain, so have a listen. It would be cool if we all could live on a farm and create music, then I would get cabin fever and be jonesin' for a death metal show and a soy chai latte… ah the city life. Anyways, these guys are great, top musicians with their own sound and at such an early age. I enjoyed all of the songs, especially Perverseerance, Variations and Immersions …and an obsessive favorite, one that will probably be on my fav list for at least the next decade…. “Mantra” – It is simply perfect – the theme, the meters, the dynamics, the instrumentation, the composition - perfect. I have to restrain myself not to over listen and cause song fatigue. Hey there. I am happy to see Fred continues to be popular. Mike Robison, song writer and bass player is my older brother. Mike was an awesome friend as I was growing up. LOL! Thanks for the green note at the top that my comment has been posted. LOL - like 4 times. BTW, fred is not a Swedish band. Lewisburg, PA was the location of the farmhouse where they wrote their music. Finally had a chance to read the awesome comments from you folks. Thanks. I did get to grow up with the composer/bass player. BTW, just a farmhouse new Lewisburg, PA, not ever a commune. from lil' sis. No lie. Is the bass player still in the music business?